SYDNEY, May 28, 2018 (BSS/AFP) - Cricket Australia said it wasn't aware of any "credible evidence" linking two of its players to match-fixing after a TV sting was aired by news channel Al Jazeera. 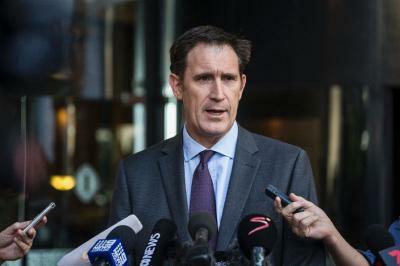 CA chief James Sutherland urged the Qatari broadcaster to hand over its footage to the International Cricket Council following Sunday's documentary, and pledged a full investigation if necessary. "Although not having been provided an opportunity to view the documentary or any raw footage, our long-standing position on these matters is that credible claims will be treated very seriously and fully investigated," Sutherland said in a statement. "Cricket Australia will continue to fully cooperate with the ICC Anti-Corruption Unit in its review of the matter. Neither the ICC or Cricket Australia is aware of any credible evidence linking Australian players to corruption in the game." The Al Jazeera programme claimed pitches were doctored to achieve desired results at Galle International Stadium, where Australia lost all their 20 wickets and were beaten by Sri Lanka inside three days in 2016. Al Jazeera also made match-fixing allegations against England in their innings defeat to India in Chennai, which England captain Joe Root described as "outrageous". The documentary made reference to the 2016 Test between Australia and Sri Lanka, where it claimed criminals had placed money on the game not ending in a draw, before it was wrapped up on the third day. The names of the Australian players were bleeped out by Al Jazeera and the period of play under suspicion was also not revealed. The ICC have confirmed they were aware of the allegations. Sutherland said CA and the ICC both adopted a "zero-tolerance approach against anyone trying to compromise the integrity of the game". "We urge Al Jazeera to provide all un-edited materials and any other evidence to the ICC investigation team, so, if appropriate, a full and thorough investigation can be conducted," he said. Sri Lanka Cricket on Sunday suspended a player and a groundsman who, according to Al Jazeera, allegedly agreed to tamper with the pitch to alter the result of an upcoming Test against England. Sri Lankan police have announced an investigation into the claims.